Used part in good condition. Has some surface scratches/scuffs and small dings/dents from past normal use. No drill holes or major damage. Sold as-is. All sales final. 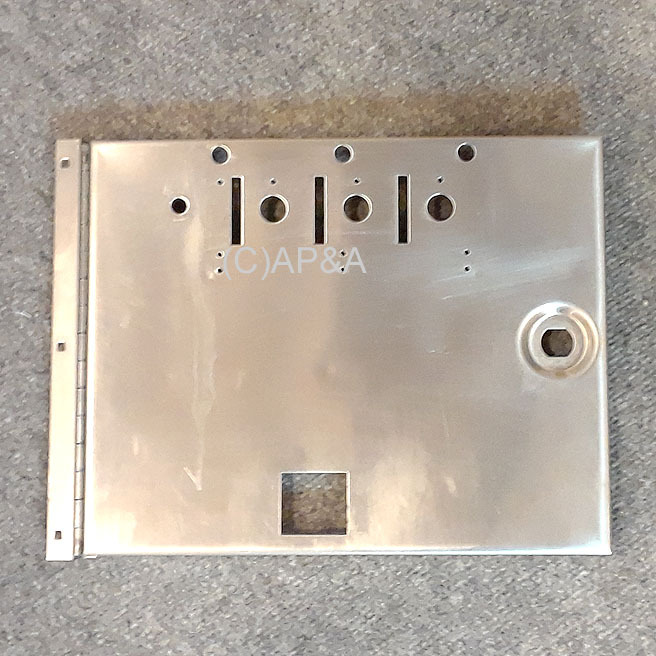 Blank metal 3-slot coin door skin with hinge. Used on Williams games from approximately 1965-1982. 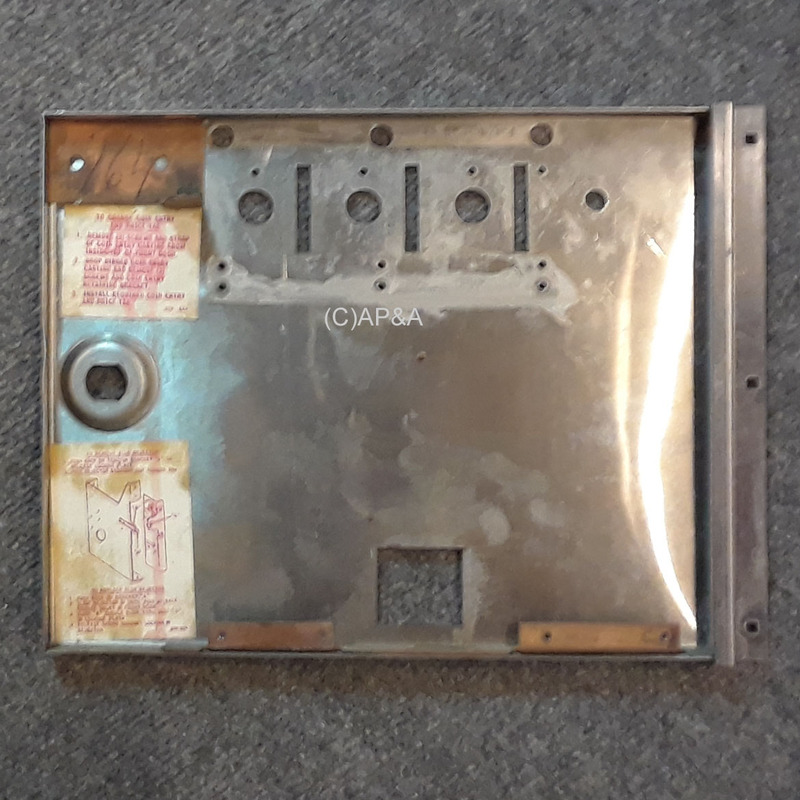 Part of D-7078 full coin door assembly.